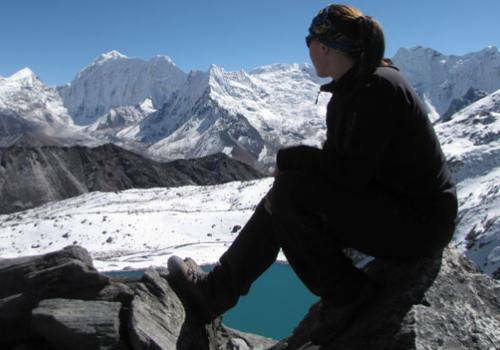 Gokyo Valley Trek, a short trip to Everest Region leads you to the beautiful and charming hamlet Gokyo Valley which is one of the highest settlements in the Himalaya of Nepal, is a very popular trekking route. 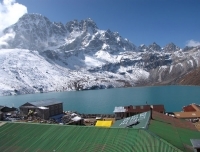 The series of emerald green lakes along the Ngozumpa Glacier, thrilling hike up to Gokyo peaks and heart stopping view from there is unique experience. The route itself ends at Gokyo Ri, and trekkers typically turn around at this point and retrace their steps back to the trailhead. 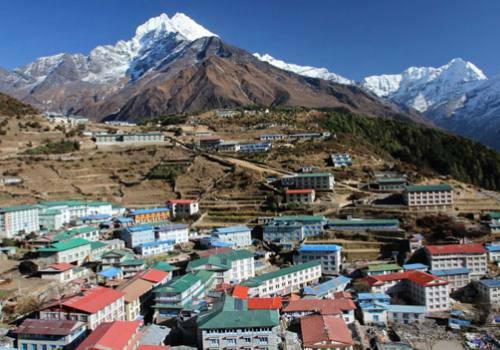 There are two alternative routes, one that leads to main Everest Base Camp trail to east over the Chola Pass (5420m, 17782 ft.), and other one Renjo La Pass (5417 m, 17767ft) to the west of Gokyo valley leads to cultural Thame Village ( see Everest 3 Passes Trek). Gokyo Peak known as a Gokyo Ri (5357m, 17 575ft. 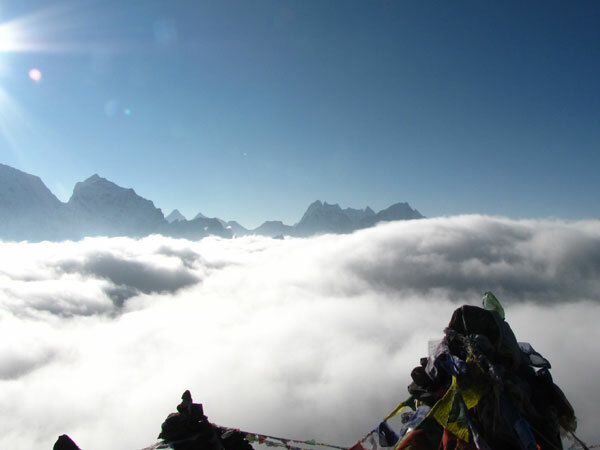 above sea level) is a peak in the Khumbu region of the Nepal Himalayas. It takes approximately 2 hours to climb it from hotel. Most of the trekkers start hike before dawn to experience the stunning sun rise view from the summit. From Gokyo Ri we can see the brilliant view of four 8,000 meter peaks - Mount Everest, Lhotse, Makalu, and Cho Oyu moreover beautifully reflected images of the snowy peaks in the aqua blue Gokyo lakes is awesome sight in the clear weather. 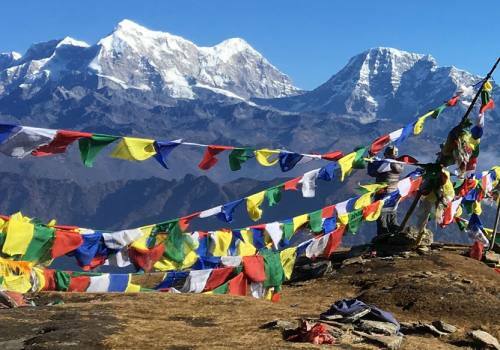 Take exciting and adventurous flight of 35 minutes To Lukla from Kathmandu with beautiful views of landscape and snow capped mountains and start our trek to Phakding. 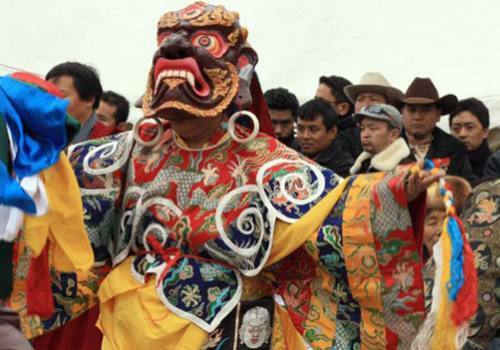 It is pleasant walk of 3 hours today passing many Tibetan Buddhist prayer walls, monasteries and monuments. We have a tea or lunch trek on the way to Phakding. Stay overnight in lodge. In the morning, we start our trek like as before days and the trail continues to straight until reaching Kyanjuma and takes about 1 and half hour walk and then the trail climbs easy uphill to Mongla. We can see a series of picturesque mountains from there and very nice view of Tengboche is seen across the Dudhkoshi River. Day 05:Tengboche - Machhermo (4410m) 5-6 hours walk. The trail goes down to Phorste Tenga and continues uphill through the Rhododendrons, birch and blue pine forests until reaching the Dole then increasingly walk up through barren hillside. The trail is easy after Lhabarma via Luza to Machhermo. Stay overnight in lodge. Day 06:Machhermo - Gokyo (4750m); 4-5 hours walk. After hot breakfast continue our journey to Gokyo leaving the foothills entering desolate tundra, soon we will spot Gokyo first lake and Mt Cho Oyu, the path goes through Ngozumpa Glacier to beautiful high settlement of Gokyo Valley. Stay overnight in lodge. Day 07: Hike up Gokyo Peak (5357m), explore and relax. 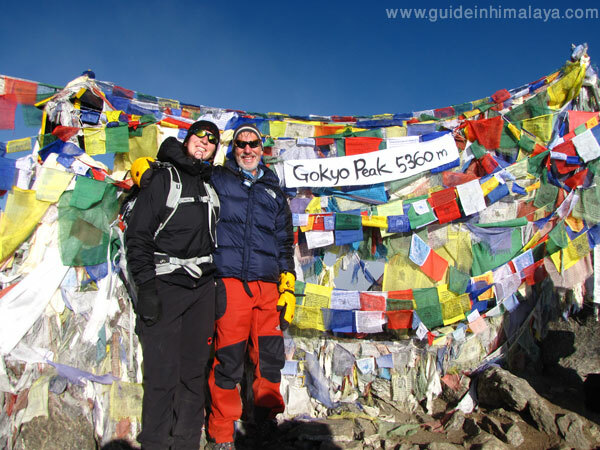 Hike up to Gokyo Peak or Gokyo Ri/5560m. About 2 hours climb up; for sun rise view and incredible mountain. The view is far better thanr Kala Pathar in your trekking. 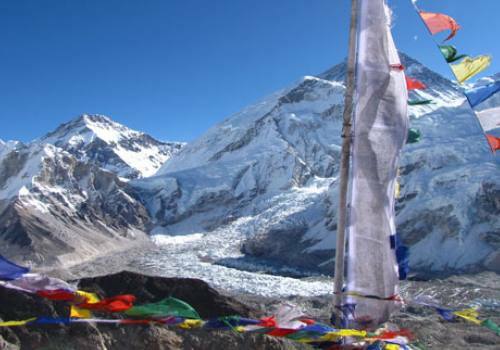 You have an excellent view of four of eight, eight-thousanders including Mt Everest/8848m, Mt. Lhotse/8510m, Mt. 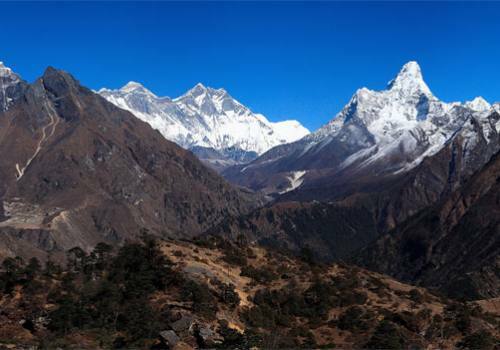 Makalu/8463, Cho Oyu/8153m, Pumori, Amadablam and other peaks. You have also unobstructed view of Sunrise from the top. Come back to hotel and stay there overnight. Day 08:Gokyo - Dole (4090m); 5-6 hours walk. Early morning hike up to Gokyo peak/5560m; 2/3 hours climb up; for sun rise view and incredible mountain views (best view of Mt. 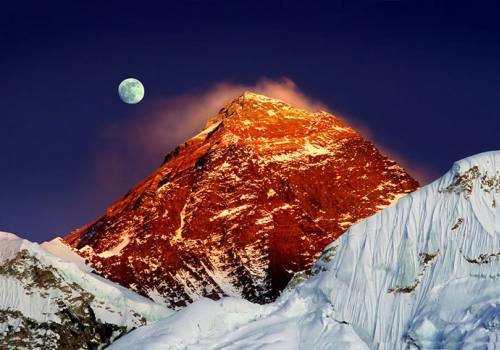 Everest in your trek). This is another super view after Kala Pathar in your trekking. You have an excellent view of Mt. Everest, Nuptse, Makalu, Lhotse, Cho-Oyu, Pumori, Amadablam and other peaks. You have also unobstructed view of Sunrise Come back to hotel and after lunch trek to Dole. Stay overnight in lodge. Day 09:Dole - Namche (3440m); 5-6 hours walk. The trail descends till Phortse Thanga and it takes about 1 and half hour. Then the trail steep ascends until reaching Mongla; a place having beautiful view which takes about 1and half hour. Then continue your trek keep gently descending till Kyangjuma. After lunch there, continue until Namche Bazar. Stay overnight in lodge. Day 10:Namche - Phakding (2610m); 5 hours walk. We leave the Namche Bazar and trail descents through pine trees and cross the high suspension bridge over the Dudh Kosi River. Then our trail continues River side and we arrive in Jorsalle and it takes about 2 and half hours. We continue again our trek until reaching Phakding with crossing several bridges about 1 and half hours walk. Stay overnight in lodge. Day 11: Phakding - Lukla (2800m); 3 hours walk. We have a short and easy day today. It is an enjoyable walk most of the time until Ghat then short climb after Thadokoshi then the trail is pretty flat and 30 minutes climb up bring us to Lukla. Stay overnight in lodge. Day 12:Fly back to Kathmandu. Fly back to Kathmandu after breakfast your guide drops off you in your hotel and you can do last hour shopping for dear ones back home and chill out at Thamel. Stay in selected hotel. An experienced, government registered and friendly guide. 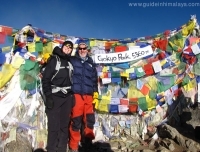 Necessary trekking porters (weight limit 25kg per porter. Assistant guide as per group size. All breakfast for whole trip. 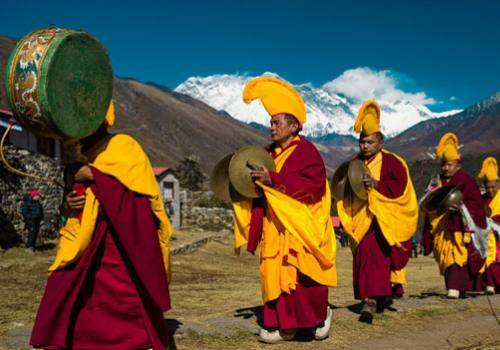 Kathmandu – Lukla – Kathmandu Flight ticket and airport taxes. Note: This trip can be personalized as per your requirements that meet your time frame. The trip price will be according to Deluxe, Standard, Budget and group size so please kindly provide us your details for tailor made program. For your information Lukla flight is notorious for being delay problem of domestic flights to and from Kathmandu by few hours or canceled for a day or more rarely, it may happen even in top trekking season also as you know how climate changes effecting our world. So, please allow a couple of spare night/s in Kathmandu following your trek if possible.